The plans, introduced by Prime Minister Xavier Bettel's coalition government, will see trains, trams and buses run free of charge from next summer. Bettel, (pictured) who took office for a second term on Wednesday, made environmental protection a key part of his election campaign. 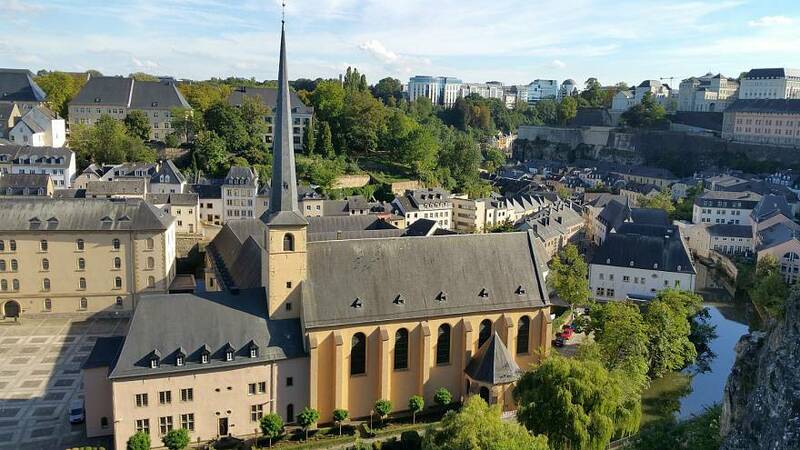 Luxembourg City, the landlocked country's capital, is home to around 107,000 but sees 400,000 commuters cross its borders every day to work, causing some of the worst congestion in Europe. And, if so, will Angelenos take that deal? Last week, Metro CEO Phil Washington endorsed a bold proposal: implement congestion tolls on drivers to make public transportation free. If the proposal moves forward, it would fit into a number of projects Metro has in the works, which all aim to turn Los Angeles into a seamless public transportation utopia before the Olympics come to town. “We think that with congestion pricing done right, we can be the only city in the world to offer free transit service in time for the 2028 Olympics,” Curbed reports Washington said during his presentation to the Metro Board of Directors. While it appears to have the greatest upside for Metro’s coffers, rolling out a VMT fee could be the most difficult, as it would require the development and adoption of a technology solution by every participating driver, and questions have been raised over privacy concerns regarding what would be done with all that data being collected. Depending on how it was implemented, it could also only end up charging local drivers who have the on-board device, and not charging visitors in town for something like, say, the Olympics. "The theory goes that, as driving becomes more expensive, fewer people will choose that as their way to get around, particularly if public transportation alternatives are free and accessible." At the presentation, Washington expressed that the corridor pricing model would be his first choice, and that his idea would be for public transit alternatives to driving to be free of charge, both during the Olympics and indefinitely afterwards, subsidized in part by revenue from the congestion fees. Then again, compared to the other “spaghetti” Washington tossed out, congestion pricing starts to make sense. Other funding options would include requesting federal money, which Donald Trump is against; delaying electric buses, which Mayor Eric Garcetti is against; selling naming rights to stations, which County Supervisor Sheila Kuehl is against; cities handing their Measure M funds over to Metro, which the cities are against; or borrowing more money, which the Metro Board is against. Finding the budget to cover Olympics-related projects is also only the short-term goal. 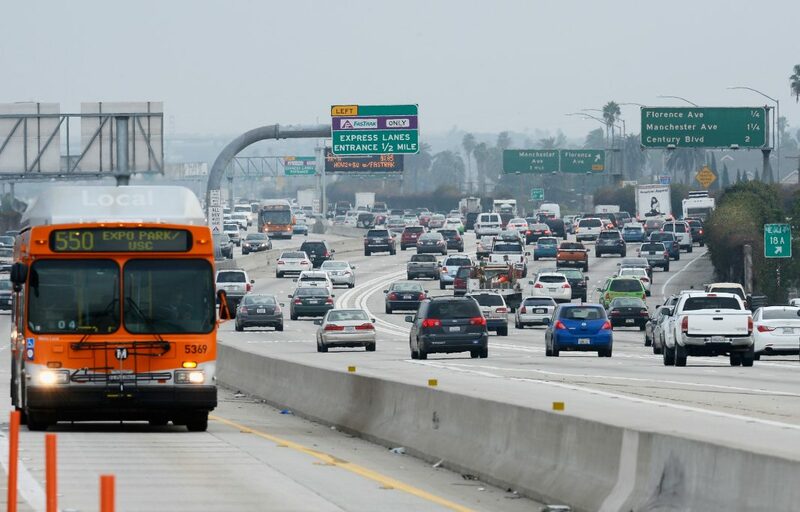 Congestion pricing could be a stab at some big ideas, including cutting back on pollution to slow climate change and making a meaningful reduction to L.A.’s traffic. The theory goes that, as driving becomes more expensive, fewer people will choose that as their way to get around, particularly if public transportation alternatives are free and accessible. 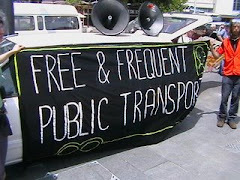 Just Mobility and Urban Planning The campaign for free public transit is a rapidly growing international movement, with several cities in Canada and many more in the U.S. taking up the effort. Public transit is crucial to social reproduction, and a crucial linkage between workplace and community struggles (too often neglected by unions and community activists alike). Just mobility in the social provision of transit is central to workers, racialized communities, women, the disabled, youth and seniors – all disproportionately dependent on public transit. This video features the Toronto launch of a unique book, Free Public Transit – And Why We Don’t Pay to Ride Elevators (2018), edited by Judith Dellheim of Berlin’s Rosa Luxemburg Stiftung and Jason Prince of Concordia University in Montreal. It is a collaborative result of an international network of scholars and transit activists working for fare-free public transit. The book provides an overall analysis of public transportation and describes and discusses various efforts in cities around the world to build movements for decommodified and accessible public transport. Examples include Toronto, Montreal, Bologna, Seattle, New York, Hasselt, Tallinn, Stockholm and others. Public transit is a need and a social right. Demand free fares. 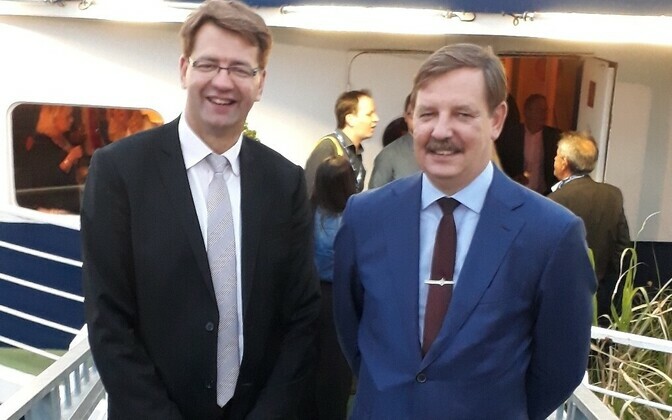 Mayor of Tallinn Taavi Aas was in the northeastern French city of Dunkirk (Dunkerque) on Tuesday at a conference marking the rolling-out of a free public transport system there. 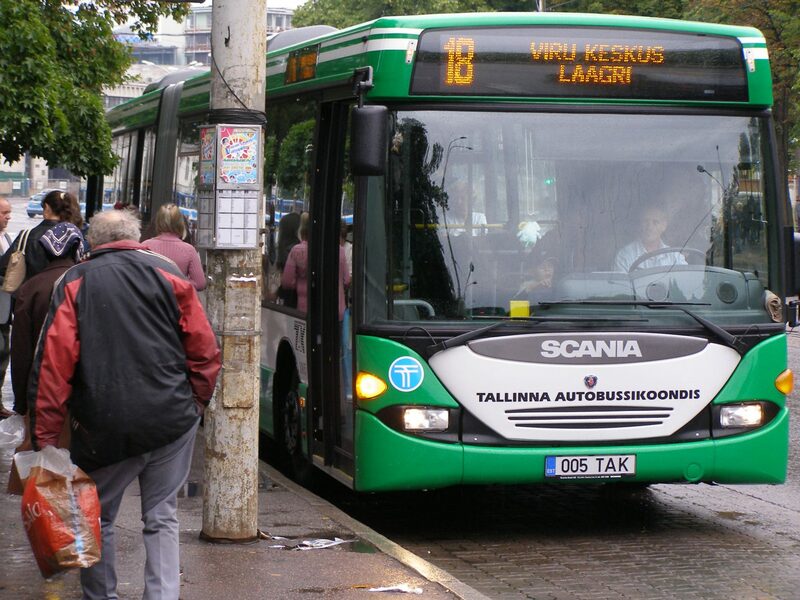 The free transport network, available to approximately 200,000 residents in the city and its environs, actually began working on 1 September and is the largest city in France to offer the service to its inhabitants, according to a Tallinn City Council press release. Mayor of Dunkirk Patrice Vergriete reportedly held up Tallinn as an example of how free transport systems can work in practice, with the need for further expansion on an international scale outlined by both mayors. ''Following the example of our cities, the free public transport debate has opened up in Paris, Bucharest and various German cities,'' claimed Mr. Aas (Centre). ''We are open to sharing our experience with everyone,'' he went on, noting that free public transport was not just confined to Tallinn, having been implemented in the county line buses of most of Tallinn's 16 counties this summer. ''The capital city and the Estonian state working together not only enhance our message in the field of public transport, but also in areas such as natural conservation and digital development,'' he went on. Other city dignitaries present at the meeting came from all over France, including southern French Aubagne district council chief Sylvia Barthelemy and Mayor of the Châteauroux, in central France, Gil Averous. Tallinn representative to the EU, journalist Allan Alaküla, gave a talk on the prospects of international cooperation in the field of free public transport, it is reported, and speakers from Poland, Germany, Spain and Brazil were also present. Free public transport to all Tallinn residents, who have to validate a swipe card on boarding a bus, tram or trolleybus, began in 2013. More than half of the world’s population lives near an urban centre. But as our cities grow increasing traffic has clogged roads and highways. In much of the U.S., a car—there are 246 million registered, as of 2009—is a near-necessity. Meanwhile, longer commutes have been linked with severe health problems, according to a recent report by Gallup. Public transportation systems hold the promise of more efficient movement—and a healthier population—but in many U.S. cities there are few incentives to promote widespread use of buses, subways, trolleys and trains. These "positive externalities" need to be highlighted to gain public support for free transit, says Wright. College towns have been a testing ground for free-ride transit—for students and non-students alike. Programs currently operate in cities such as Clemson, South Carolina, and Chapel Hill, North Carolina. As well, popular tourist towns from Park City, Utah, to Hawaii’s Big Island have created free systems. Baltimore, too, recently started the Charm City Circulator, a fleet of twenty-one buses traveling three free routes in the city. 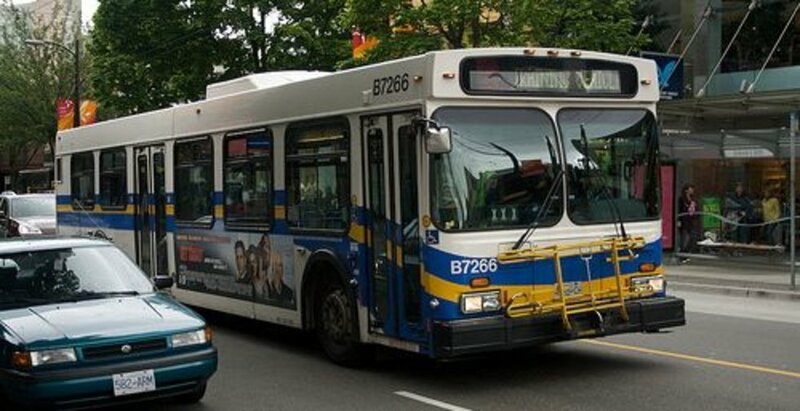 Other transit systems have free-fare programs for children, students and the elderly. The key is to scale an already-subsidized industry with select free-fare groups into a system-wide program free to all. This would create a tipping point toward more people using public transportation. "Of course public transportation has to be paid for,” writes Wright, “but it should not be paid for through the purchase of tickets by individual riders—it should be paid for by society as a whole through the one mechanism we have available for this, taxation." "This should not be thought of as a 'subsidy' in the sense of a transfer of resources to an inefficient service in order for it to survive," he says, "but rather as the optimal allocation of our resources to create the transportation environment in which people can make sensible individual choices between public and private means of transformation that reflect the true costs of these alternatives." Tallinn, known for its digital government and successful tech startups, is often referred to as Europe’s innovation capital. Now celebrating five years of free public transport for all citizens, the government is planning to make Estonia the first free public transport nation. Allan Alaküla, Head of Tallinn European Union Office, shares some valuable insights for other cities. European cities are increasingly looking toward free transport in a bid to combat air pollution. Anne Hidalgo, the Paris mayor, is the latest local leader hoping to make public transport free across the city, emulating the success of a handful of small towns across France which let residents board buses and trams without paying a cent. The German government is also considering rolling out free transport across the entire country - with the same aim as in France of reducing air pollution - if a pilot scheme in five big cities this year works out. Niort in western France has been running free buses since last September for its 125,000 inhabitants. The scheme has been an enormous success, boosting passenger numbers by 130 per cent on some routes, slightly reducing the number of cars on the roads, and costing the town little more than when people had to buy tickets, said mayor Jérôme Baloge. But he agreed that making metros, buses, trams and suburban trains free in a big city is a far more radical, if not revolutionary, idea. “In Niort the revenue from ticket sales represented only 10 per cent of cost of running public transport. In Paris it’s around half… And our buses were often half empty, while in Paris the metro and buses are packed,” he said. Ms Hidalgo said last week that she was commissioning a study into free transport and wants officials and experts to report back by the end of 2018 on whether the scheme would be financially feasible. The mayor has made a priority of tackling smog and is to ban diesel cars in the capital by 2024, when Paris will host the Summer Olympics. The study will also look at the possibility of introducing a toll, like London's congestion charge, to discourage motorists from driving into Paris. Supporters of the toll say it could be used to offset the cost of providing free transport. 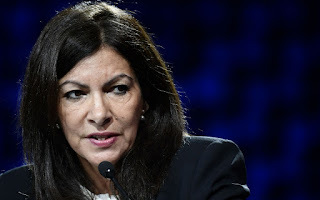 Ms Hidalgo only has power over the city of Paris, which with 2.2 million residents makes up only a small part of the greater Paris region with a population of more than 12 million - 4.2 million of whom use public transport. Valérie Pecresse, the conservative head of the wider Paris region and a rival of Ms Hidalgo, said she was "open to all new ideas" but warned the mayor against "going it alone" on free transport. Ticket sales bring in €3 billion (£2.6 billion) a year that offset the total transport budget of €10 billion for the region, she noted, saying that this would have to be compensated for somehow and that she would not settle for "a euro less". There was similar consternation about who was going to pay when it was revealed last month that the German government was looking at plans to make public transport free to try to reduce road traffic and lower pollution levels. Free transport will be tested in five cities, including the former capital Bonn and the industrial cities Essen and Mannheim, by the end of the year, and if successful will be rolled out to more cities across the country, ministers said. But Helmut Dedy, the head of the Council of German Cities, warned that the federal government would have to finance public transport if it wanted to make it free. Most local transport in Germany is owned by municipalities. Greenpeace came up with an original idea - it proposed that the government “should make sure that the car manufacturers finance the emergency measure” of free transport. Mayor of Tallinn assures European Commission forum that free public transport "strengthens social ties, stimulate slocal economy and spares the environment."